When Anuj Gupta, an IT professional, bought his two BHK flat in Greater Noida four years ago for `52 lakh, the brokers promised him of an assured appraisal of the price by at least 25 per cent. 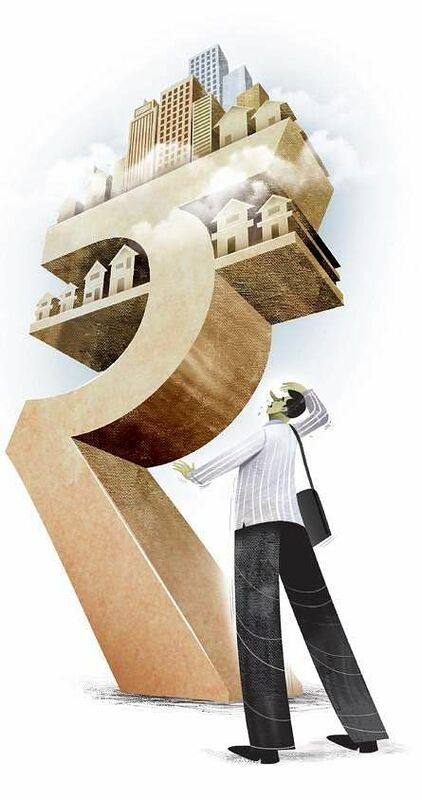 NEW DELHI: When Anuj Gupta, an IT professional, bought his two BHK flat in Greater Noida four years ago for Rs 52 lakh, the brokers promised him of an assured appraisal of the price by at least 25 per cent. He hardly knew he is just blocking his investment. “I am trying to sell it in December. But so far, the highest price I am getting is Rs 55 lakh, which is not good enough. The price is stagnant. After a wait of four years, and after paying EMI and interest over it, I cannot sell it for so low. Putting the money in the markets would have given a better return,” Gupta said. As the residential real estate has seen a stagnant growth, buyers are looking at other avenues like lands and plots to invest in property. “If you want a house for personal use, then invest in it like a lifestyle choice. However, if you are looking purely for investment purpose, buying a land or a plot is a better investment option, as it sees better appreciation over time. Also, the transaction cost is lower and possession quicker, and there are no worries over construction delay. In recent months, we have seen surge in demand from buyers,” said Amit Agarwal of Makaan.com. One of the advantages of buying a plot is that one can construct it the way one wants. This freedom is rarely available with flats, which is difficult to customise. That is the reason why many developers, including the Delhi Development Authority, are offering land plots along with flats. “Land can fetch better returns over long-term and is easy to dispose. However it is also a risky venture. One has to keep in mind that it is bought at the right location, the title deed and all documents are clear and there is no legalities involved,” says Anuj Puri, chairman, Anarock Property Consultants. However, the advantages of buying lands are multiple. “Forget investment, even if you are buying land for personal use, there are many advantages. One, cost is low. Second, you can control the quality of construction, which is not the case while buying a flat. Usually, a flat buyer has to shell out at least Rs 3-4 lakh additional cost just for customising. Also, you can go ahead with construction at your own pace,” Agarwal adds.